Your holidays are a precious and very special time. A time to spend at a place that inspires you, makes you happy and lets you experience many moments of unforgettable joy. We know just such a place! 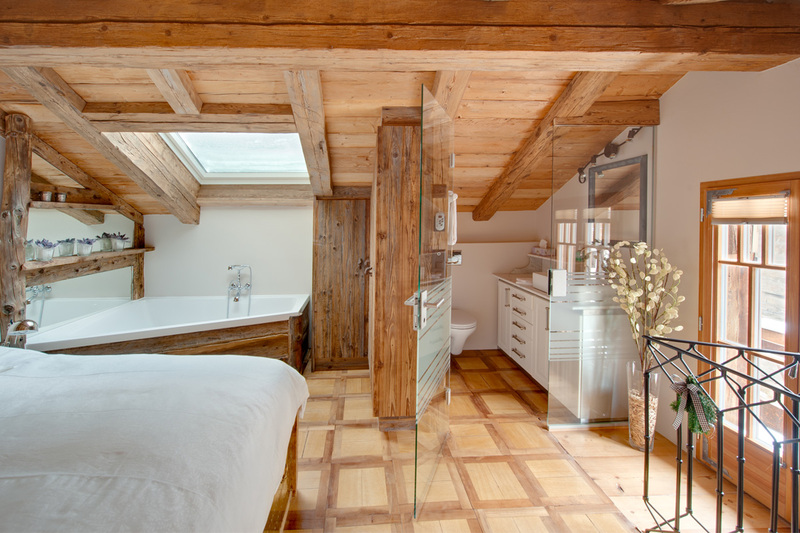 Rent our beautiful, lovingly decorated chalet in Zermatt in the Canton of Valais, Switzerland. Come be our guests and let us pamper you in Chalet Schatzchischta! Spend the most beautiful time of the year at an historical Valais-style grange in the oldest part of Zermatt. Here at Chalet Schatzchischta, you’ll feel immediately immersed in the authentic Swiss village life of Zermatt. The chalet perfectly combines historic charm and modern comfort. Its elegant interior design is a blend of wood, natural stone, and glass, and the fully equipped kitchen with its high technical standard offers the convenience you expect from a contemporary home. We renovated our chalet with a spirit of creativity and hospitality, transforming the old Valais barn into a charming Swiss chalet for your perfect family holiday. Families, couples, and friends have a great time at Chalet Schatzchischta. Perfectly equipped to house four and conveniently located in the heart of Zermatt, the chalet is the ideal base for your best Swiss holidays ever. You are looking for a truly authentic, charming chalet in Zermatt in the Canton Valais, Switzerland? Look no further! Chalet Schatzchischta was transformed from a typical Valais-style barn into a luxurious and charming holiday home in the heart of Zermatt. There is no better place to enjoy authentic holidays in Switzerland!